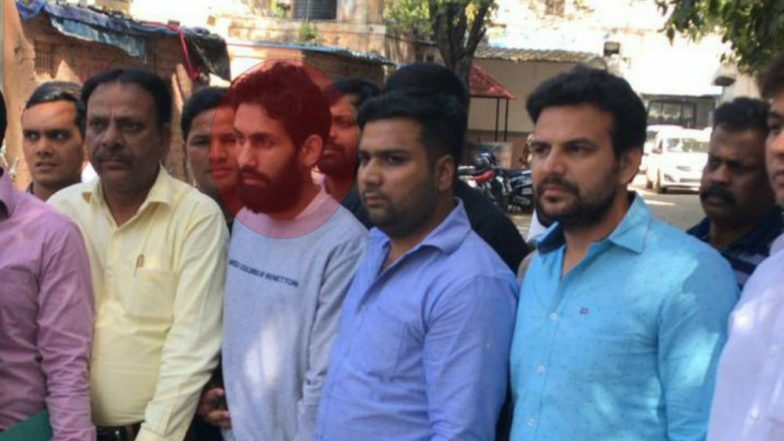 New Delhi, March 22: A suspected terrorist of Pakistan-based terror outfit Jaish-e-Mohammed (JeM) was arrested in Delhi on Friday by sleuths of Special Cell of Delhi Police. According to initial reports, the JeM terrorist was identified as Sajjan Khan. He was arrested from the Red Fort area. Sajjad Khan was constantly in touch with Mudasir Ahmed Khan, who is believed to be the mastermind of the Pulwama terror attack. Mudasir was gunned down by security forces in an encounter in south Kashmir’s Tral area on March 11. Khan, who is on the wanted list of the National Investigation Agency (NIA), was found selling shawls in the national capital. Rahul Gandhi Attacks Narendra Modi, Says ‘Tell Pulwama Victim Families Who Released Masood Azhar’. It is worth mentioning that around 40 CRPF personnel were killed when a suicide bomber rammed into a convoy while moving from Jammu to Srinagar in Lethpora area of South Kashmir Pulwama district on February 14 around 3:15 pm. JeM claimed the responsibility of the attack. Mudasir Khan is believed to be the brains behind the audacious terror strike in Pulwama. He joined the JeM sometime in 2017 as an overground worker and was later drawn into the terror outfit by Noor Mohammed Tantrey, alias 'Noor Trali', who is believed to have helped the terror group's revival in the Kashmir Valley. After Tantray was killed in December 2017, he disappeared from his home on January 14, 2018, and has been active since then, officials had said. Suicide attacker Adil Ahmed Dar, who blew his explosive-laden vehicle next to a bus in a CRPF convoy, had been in constant contact with Mudasir, they had added.